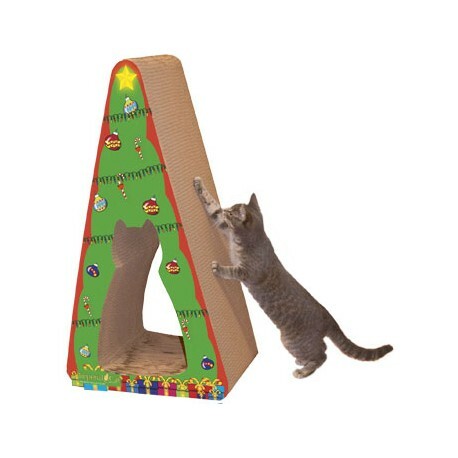 The Giant Christmas Tree is the ultimate cat amusement center. 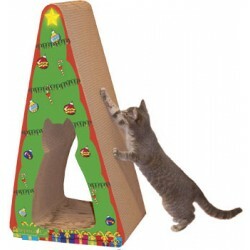 Boasting three feet of vertical scratching surfaces on two sides and a kitty tunnel for horizontal scratching and play the Giant Christmas Tree is the ultimate cat amusement center. 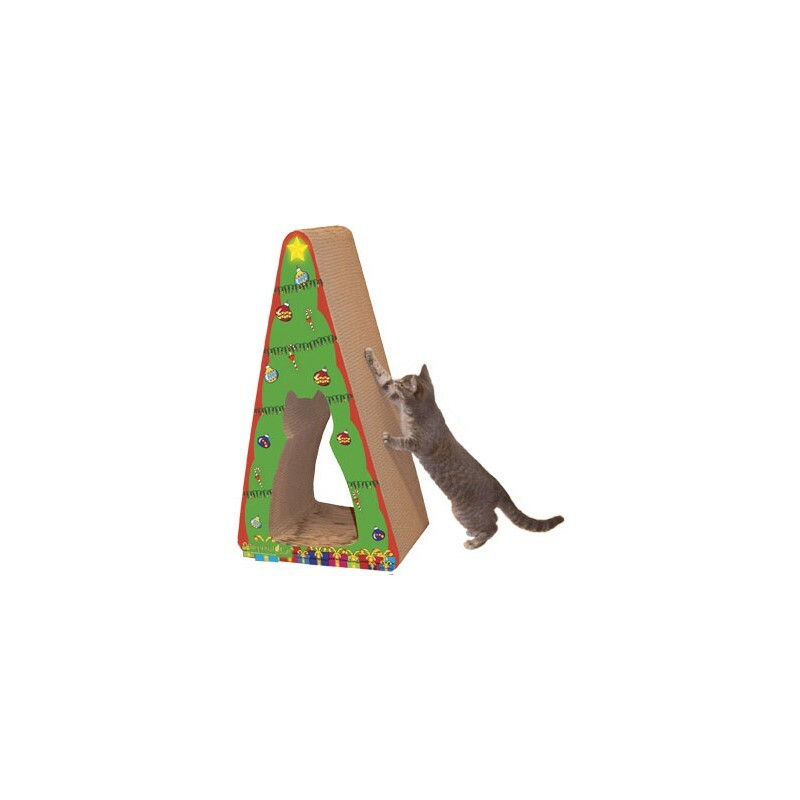 This shapes sturdy design will withstand climbing and is great for homes with multiple cats. Adds a festive touch to holiday home decor. Made from recycled paper. Bag of 100 certified organic catnip included. Dimensions: 12" x 19" x 33.5"